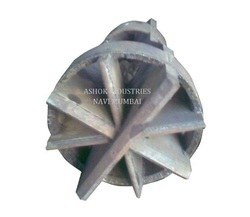 Prominent & Leading Manufacturer from Navi Mumbai, we offer chisel for piling, tripod set piling equipment, piling bailor, conventional piling winch, dmc rod and dmc lifting head. A premium assortment of Hard rock Chisel for Piling is on offer for our clients based across various industries. Made of high grade material, these are ideal for handling of various substances. 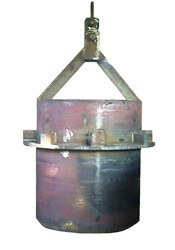 These are sturdy in construction, highly efficient, durable in finishing and resistant to corrosion. These pumps handle breweries, cosmetics, acids, oils sludge, effluent sludge and acrylic emulsion ceramic. We are offering Tripod Set Piling Equipment to our clients. We are engaged in manufacturing highly qualitative Piling Bailor to our esteemed clients. Made in compliance with industrial quality standards using superior grade raw materials, the sludge pumps that we manufacture and supply to our valuable clients are ideal for handling liquids comprising solid mixtures and pumping effluents. Based on the latest technology, they are ideal for handling products like neutral clear fluids, slightly aggressive media, viscous and contaminated liquids containing solids, mine water, polluted water, disposal sludge, raw juices, sewage, mud, crude oils, stormwater, paper and cellulose stocks as well as sugar syrup. 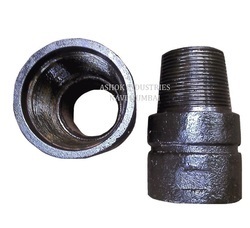 They are corrosion-resistant and last for long time periods without getting damaged. These products are supplied to clients within the specified time-frame after the approval of quality auditors. They are reasonably priced. DMC Rod that we design and offer to clients are known for optimum quality, reliability and durable finishing. Stringent quality checking at different stages assure that these are in compliance with the industry standards. We can also offer these in varied specifications as per the varied application requirements. 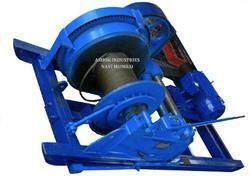 We are offering DMC Lifting Head to our clients. We are offering DMC Socket for Piling to our clients. We are offering Hammer Piling Equipment to our clients. We are offering Swivel Hook to our clients.